LONDON (AP) — Prime Minister Theresa May’s Brexit plan has been derailed in Parliament. Now she is at the mercy of an exasperated European Union. The prime minister’s Downing St. office said May will send a letter formally requesting an extension to European Council President Donald Tusk on Tuesday or Wednesday. Downing St. wouldn’t say how long a delay she plans to ask for. “The EU’s interests will be put before anything else,” said the official, who isn’t authorized to speak publicly in line with the presidency’s customary practices. Germany’s European affairs minister, Michael Roth, said he expected “clear and precise proposals” from Britain. “We are really exhausted by these negotiations,” Roth said at an EU foreign ministers meeting in Brussels before the leaders’ summit. “I’ll concede that I wasn’t actively aware of the British Parliament’s rules of procedure from the 17th century, so I took note of this with interest yesterday,” German Chancellor Angela Merkel said. 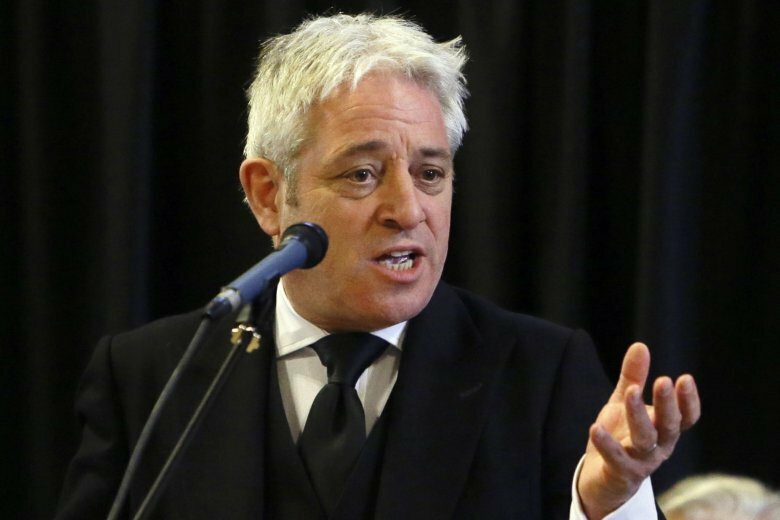 The British government is enraged at Bercow, believing he has overstepped the bounds of his role as speaker. As interpreter and enforcer of Parliament’s rules, the speaker has broad powers. But some ministers have accused him of plunging Britain into a constitutional crisis by upsetting the balance of power between the government and Parliament. May, meanwhile, hasn’t given up on getting her deal approved. She could try to bring it back to Parliament next week if it can win over enough opponents.